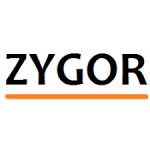 Zygor Guides offers expert advice for online gamers. You can get helpful guides for World of Warcraft: Legion and other popular games. There are in-game guides to help you with gold, achievements, leveling and professions among others. Zygor has an active community forum where avid gamers share precious tips and also attend to the various queries people have about the guides. The company routinely updates its guides and also rolls out new ones for latest games. You can pre-order such guides and gain the much desired edge over other players and your gamer friends. The guides accentuate the whole gaming experience with efficiency and accomplishments.